UNITED NATIONS — February 11th, the two day inaugural World Women’s Health and Development Forum commenced, hosted in collaboration with United Nations Innovation and Development and the Royal Academy of Science International Trust, RASIT. Over the two days, 55 speakers including representatives from the United Nations and government entities presented on the physical, mental, and economic status of women’s health and development. The forum closed with deliverables being passed onto UN Women for further development. RASIT’s director, Princess of IRAQ, Nisreen El-Hashemite began the forum describing the importance of recognizing that men and women have different medical needs. She took the opportunity to ask that ministries adopt departments of women’s health and that technology ministries not only make health information available but also understandable to the masses. He condemned religious leaders for continuing to oppose contraception and the institutions that use cultural norms as an excuse to prevent women from opening their own bank accounts or businesses without the consent of male family members. He closed by calling for the Lebanese Parliament to institute a gender quota to increase the number of women represented in politics and for the UN to urge member countries to take action. The rest of the day was filled with talk of the disparity between the health outcomes of men and women which were exemplified by statistics such as rates of depression which are highest in females and by causes of adolescent mortality in girls: suicide is the leading killer of women in India ages 14-49 according to Dr. Pamela Collins of the National Institute for Mental Health, and according to the World Health Organization complications from childbirth is the second leading cause of death for girls 15-19 years old. There were also many reports from Health ministers, such as those from Russia and Malta, summarizing the improvements made within their given country, many of which sited decreased maternal mortality and increased levels of education and/or healthcare but all concluded that it is not enough and called for continued global action. 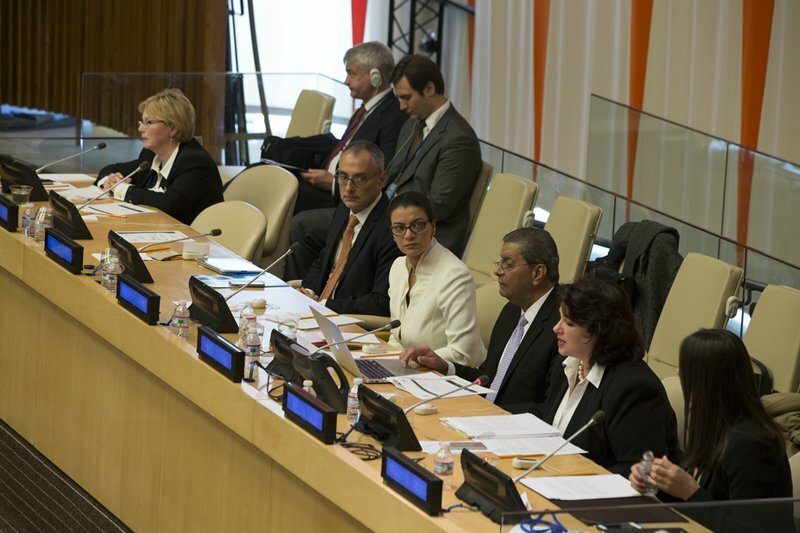 Day two’s focus areas included health research and development, empowering women in science and the economy, and challenges and opportunities in the Post-2015 development landscape. The case was made by multiple MD’s that the process of research development, as it stands, does not lend itself to research that focuses on women’s health. An example of the effect that research, or lack there of, can have on the population was given by the Director of the National Health Institutes (NHI) Office of Research on Women’s Health, Janine Clayton M.D., who spoke on heart disease, the number one killer of women globally. She spoke of how it has only been within the last few decades that cardiovascular research has been done on the differences between men and women. While it may seem that something like the human heart should be gender neutral, it is now recognized that women not only experience very different symptoms from men that can often go unrecognized, but that they may also respond very differently to treatment than men. Dr. Clayton pointed out that research on women’s health conducted by NHI’s Women’s Health Initiative had a 140% return on its investment. She, as well as others, discussed how research bias towards men’s health starts in preclinical animal trials where laboratory animals are frequently comprised of male subjects. Clinical trials do not take place without pre-clinic trials having been first conducted, so while human trials may include and account for gender, the subjects that are most often researched are male-centric. On the topic of women in science and technology, Dr Ann Lee-Karlon president of the Association for Women in Science, and also representing pharmaceutical giant Genentech, reviewed statistics which highlighted the gender disparity in science, technology, engineering, and math careers (STEM). This included the fact that only 18% of college graduates in STEM are women and that that number has gone down over the last decade. Lee-Karlon also reported that the pay in STEM careers is 25% higher than that of other industries and that South Korea and China are the current global leaders in research and development in these areas. She attributed some of their success to the positive effect of their ability to develop a workforce that is gender diverse. Ms. Lee-Karlon attributed the disparity in the US to issues regarding equality in the workplace, unconscious bias, and lack of recognition. Many of the speakers pointed to violence against women as the primary challenge (and primary opportunity being that it is the area that needs the greatest improvement) of the development landscape for the UN’s Post-2015 agenda. This included calls for the full protection of women and girls by the Lebanese minister Lt-Colonel Ziad Kaed Bey.